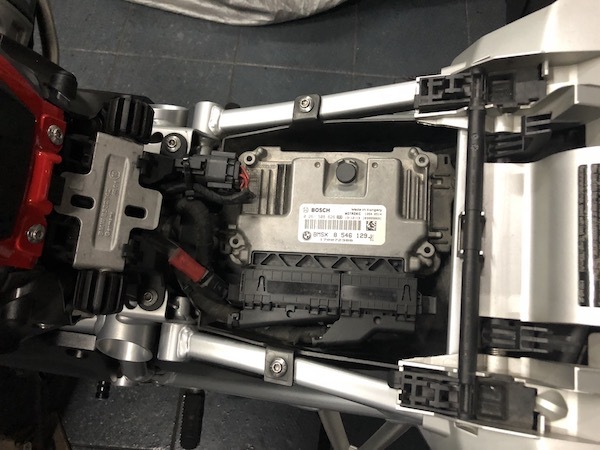 I would love to install some electronic accessories such as fog lamps, USB power and DVR camera (just to name a few) to my newly acquired BMW R1200GS LC. As I was researching on how to wire up to supply power to these components, I’ve come across a diverse range of opinions from the “unlike the Japanese bikes, you should never mess with the CAN-bus system of the BMW” to the really expensive solutions such as Fuzeblocks (USD90) and Hex ezCan (USD170). While the above gadgets have some additional fanciful features to justify their price tags, in reality, I was searching for a simple, elegant, inexpensive solution to power my electronics without interfering with the CAN-bus on the BMW and must also not fry the onboard electronics of the R1200GS should any of the add-on electronics decide to turn rogue. I was pretty impressed by the BMW R1200GS LC under-seat super-neat layout. 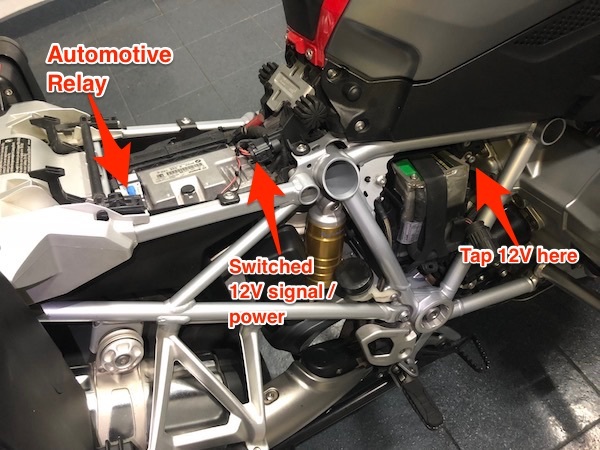 The idea was to draw a minuscule amount current from a switched 12V source to power a relay, which in turn, would draw power directly from the battery, so as to isolate the additional electronics circuit from the rest of the on-board electronics of the (reportedly, allegedly) super-fussy BMW R1200GS. 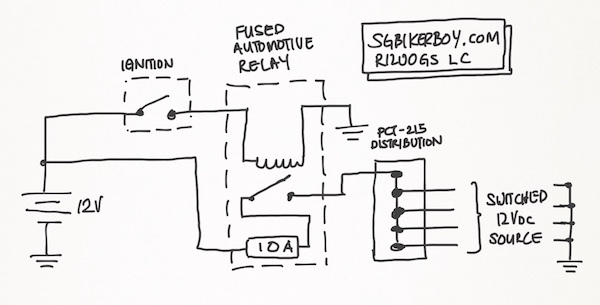 The spec-sheet of the automotive relay suggested a negligible 160mA of current drawn (at 12V) to energise it. The $2 fused relay I used seem to be of a higher quality than the one pictured here. First, we need to get a switched power source from the BMW R1200GS LC. 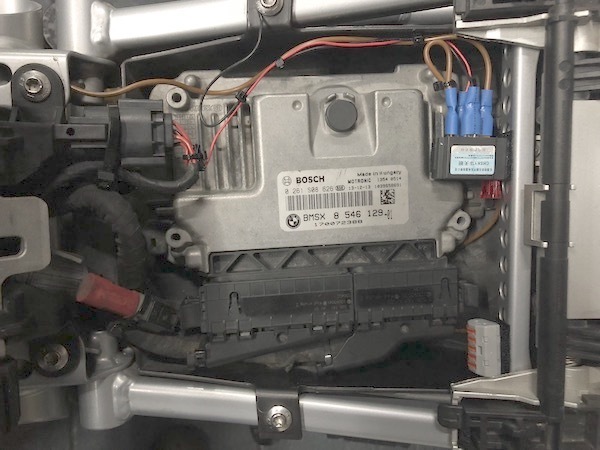 The BMW R1200GS LC on-board fuse. One of these will supply power to the relay. Tap the RED/BLUE wire for a switched 12V source. That powers the 7.5A fuse. Carefully splice the RED/BLUE wire. Then tap a signal wire to the spliced wire. This signal wire is used to switch the relay. This is how the relay is wired up. I used a nearby bolt that’s attached to the motorcycle frame for ground (black wire). Next step, I’ll need to run a (slightly thicker) power wire from the battery terminal to the relay. Tapped 12V from the battery. 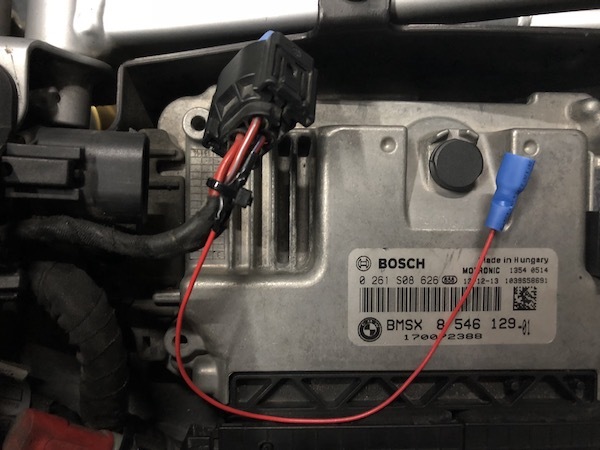 This node connects directly to the positive terminal of the battery. 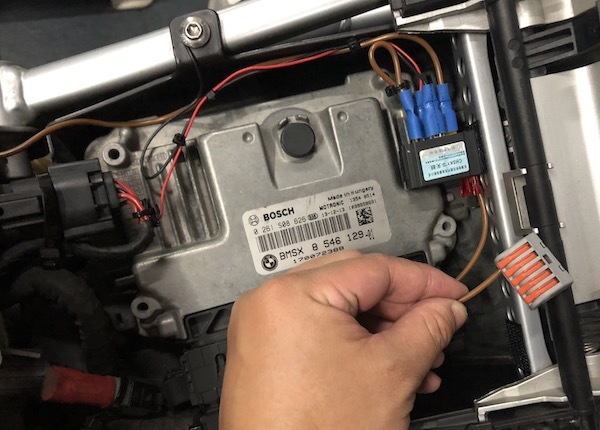 Be very careful when working on this and make sure the metal tool doesn’t touch any parts of the motorcycle frame – or a short circuit WILL occur! New BROWN power wire – one end to the battery, and the other end to the relay. Make sure the relay end of the wire is properly secured before connecting this end to the live 12V! Now, tap the switched 12V output of the relay to a distribution point. I used a PCT-215 connector here (approx $0.50 ea). Secure the relay and the PCT-215 block to the motorcycle frame with velcro, and we’re done! So that’s it! Any electronics will then draw power from the PCT-215 distribution block, which in turn draws power directly from the battery via the switched relay. Thus, isolating the circuit from the on-board electronics of the motorcycle. Congrats on the new bike. This is like the ultimate adventure bike. Too bad it’s too tall for me, so I’ll never be able to own one. Did you buy it new or used? Also, I understand you’ll need a GS911 diagnostic tool to add electronics stuff to the 1200. The way you are doing it now is to tap a small current to turn on the relay. This little current is low enough not to trip the onboard diagnostic. That works, but sounds a bit hackey. I wonder if one fine day, the bike will somehow notice this and refuse to start, and according to Murphy’s Law, this will be in a ulu deserted part of a foreign country in the pouring rain in the middle of the night surrounded by wilderness, heh. Probably better to borrow a GS911 from a BMW owner and do it the German way. The diagnostic tool has nothing to do with tapping a trigger power for the relay actuation. You don’t need a GS911 to add electronics to the GS. 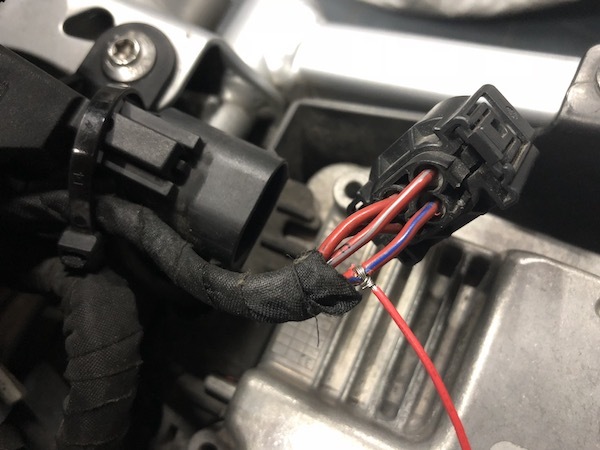 In fact, I learnt to wire up in that manner from the instructions of some of the after-market electronic accessories specifically built for the GS. I haven’t planned on getting the overpriced GS911. As an intermediate measure, I’d be trying out MotoScan for the GS. Seem to do most of what I’ll likely need to do on my GS – including reading error codes and resetting the service indicator. Oh, interesting. 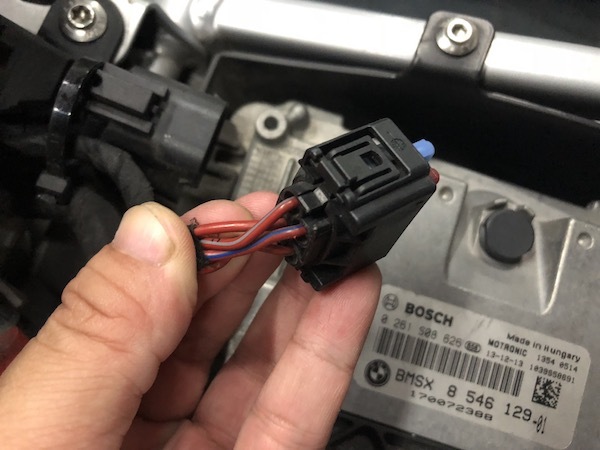 I was told by a BMW owner that any unaccounted power draw, like DIY tapping of power for accessories, will be detected as an error on the bike. A GS911 is needed to program the bike to account for the new power draw. Oh well. Anyway, have fun on your new bike. I’m a lurker on your blog, and have always enjoyed reading about your adventures (and sometimes, misadventures). Will this kind of fuse box work? Almost any kind of fuse box will work. How will you be wiring it up? And where do you intend to place it? Hi, thanks for the blog. May I know where you get the PCT-215 block from? I bought mine from AliExpress. If you’re based in Singapore, the electronic component shops in Sim Lim Tower sells them too. Learn something here. But notice one point. It’s always wise to use a waterproof fuse box in the 12V tap from the battery, place it near to the battery end if the battery + 12v to relay run is long. If you do that, just get a non fused relay also no issue. Hi. I am installing a dvr on the GS. Can I wire directly into the battery and use a manual switch to isolate the power? So after starting the bike, I flip the switch to turn on the camera..
Sure you can – it’s YOUR bike after all. 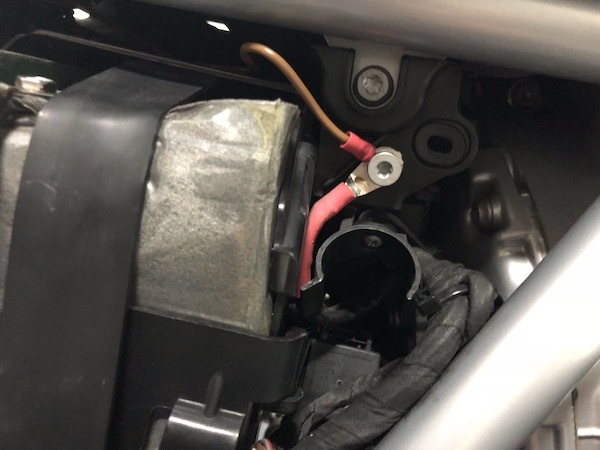 And since it’s connected directly to the battery, you don’t even need to fire up your bike before flipping the switch – the DVR will turn on regardless. Risk is that if you left the switch flipped ON after parking, you may drain your battery sufficiently to not be able to start the bike at all! Thanks very much for sharing your experience – I tapped into the red/blue wire as you did and all is working perfectly. You saved me hunting around for the most appropriate switched +12V wire to use. Appreciate it! That’s awesome! And the best part is that you won’t even have to worry about any canbus compatibility issues. Thanks for this info. I will try to do as yout tutorial. To add a pair of spotlight and day running light. So far is there any problems u faced usin direct draw from batt using relay.? None at all. Everything’s hunky-dory. I had zero knowhow on wiring actually. After going through your tutorial, i stuck at the pct215 . How do i connect the spotlights to the pct215. I’m assuming that you’ve wired up the PCT215 to supply 12V. If so, then you connect the positive wire of the LED to the PCT215 with a switch in between. 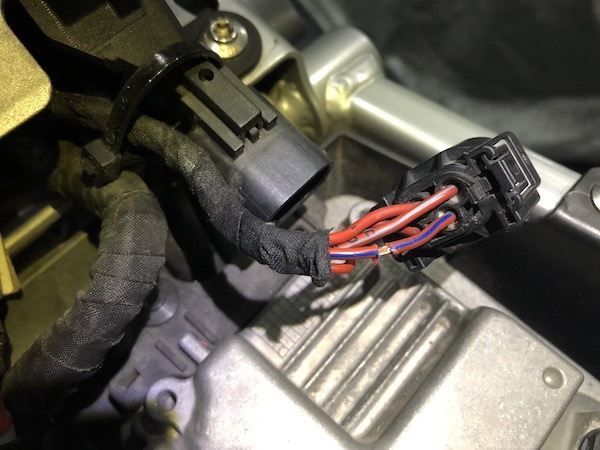 Then the negative wire connects to ground – could be the bike / engine frame for convenience. now i understand. hmm not 100% confident. but as long as i can understand the flow of the wiring. i am willing to try it haha. Very helpful and informative notes. Thank you very much. I want to install a set LED lights to my 1200GS LC. 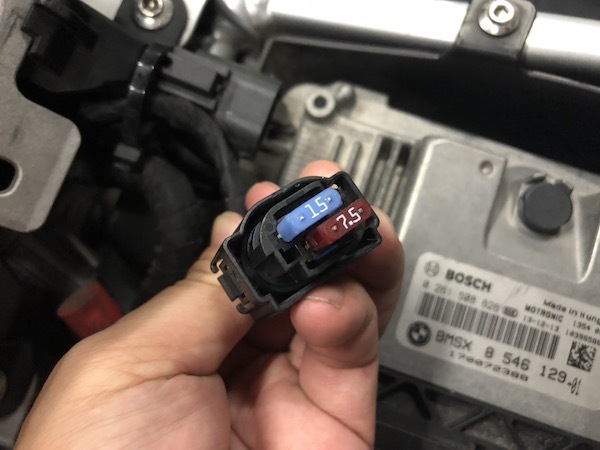 Your tip for 12v switched positive is great. But I am a little confused about this 7.5A fuse. I will be using the red-blue wire to trigger my relay which has already a fuse on its connection to the positive pole of the battery. Does the bike’s 7.5A fuse have anything to do with my LED harness? That 7.5A fused is stock on my R1200GS LC. The relay draws a minuscule amount of current (0.16A according to the datasheet) to actuate. Once switched, power draw to the LED’s is directly from the battery – thus I included a 10A fuse for wiring protection on the LED side of things. Hope this clarifies. All good. Thanks for the quick reply. Apreciated. I think I can install my LEDs now. Furthermore, if it is possible, I d like to share with you my wiring diagram to get your opinion. How can I do? The comment box does not allow. Hi hi, thank you for this informative sharing. I recently replaced the MF Battery for a Skyrich Lipo battery on my GSA LC, and it made alot of difference is the “sleep” discharge issue encountered inbetween my rides. During the commissioning of the Lipo Battery by the workshop to ascertain functionality of bike charging system so as to validate the warranty clause of the Skyrich battery, the bike electrician identified a current draw of 0.16A when the bike is in powered down state… and traced it to my exact relay set-up as you. So now, the mystery of the sleep discharge experienced since this modification had been answered. I decided to isolate the relay setup inbetween my monthly rides (by removing the relay). My question to you and all who had this relay setup to your GS, do you have the same issues? I don’t understand the power drain issue. I connect my relay activation to the GPS power. When that power is disconnected (maybe 10 seconds after ignition off) there is zero voltage and therefore no drain. I run the output to my top box via a 5.5 barrel socket on the box and inline 5.5 barrel output inside. I then split the 12v power cable for all equipment I want to use (with barrel plug/sockets). My first use (with a 12v->19v 3A stepup) is to charge my 29ah Ravpower powerbox. This will give me power for lights/computer/charging on an EU camping trip. Thank you for your detailed description. I’m not certain as I’ve not tried it myself. But what you’ve described is typical of a battery replacement procedure – which has to happen sometime in the lifetime of your bike ownership, ya? 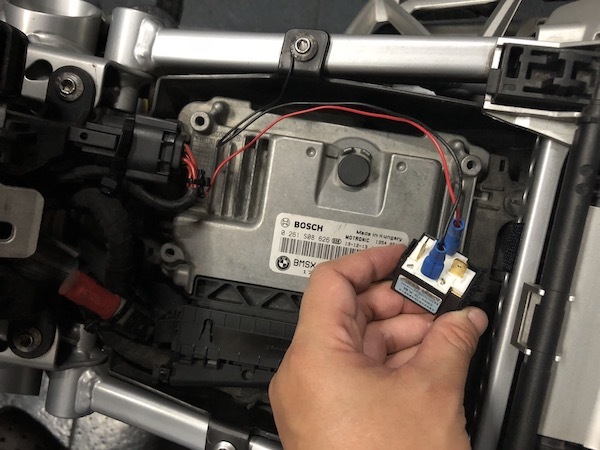 I have disconnected and reconnected the battery of my 2015 r1200gs LC 2 or 3 times. No error code or something similar occured. The only thing that happened was the clock needed to be reset. Also consumptions and trip data were all reset. Consequently it is a safe procedure. You should first disconnect the negative pole (black) and positive (red) later. And when reconnecting, the red pole first and black later. Make sure no metal piece / tool touch the negative pole to avoid short circuit. You may want to temporarily tape the negative pole while working on the harness. I had more types of motorbike, but those were without CAN. I thought the disconnect/reconnect maybe not problem, but i was uncertain in this case. I need to charge this on camping trip. The Ravpower with 12v to 19v DC converter, takes over 4a at 12v to charge, and trips the accessory socket ‘soft’ fuse on my R1200GS adventure. 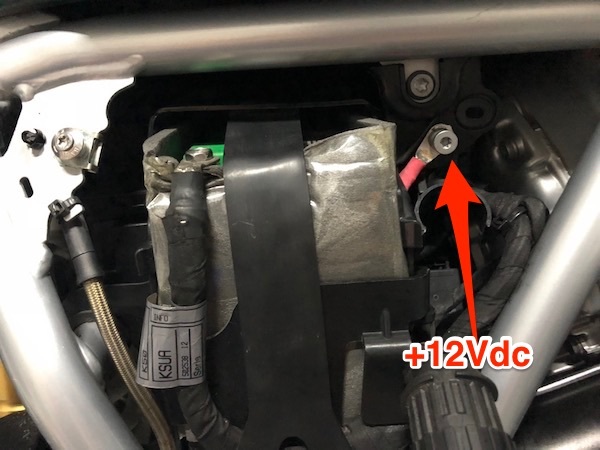 Hi, just completed the above task on my 2019 R1250GS and it works perfectly. The only change I made was obtaining the earth directly from the battery as I know that frame earths can be unreliable.